One of the best games of 2010 was Wizards of the Coast's latest edition of Gamma World. The game not only demonstrated how adaptable the 4th Edition D&D rules were to new settings, it also ably demonstrated how easy those rules are to learn. 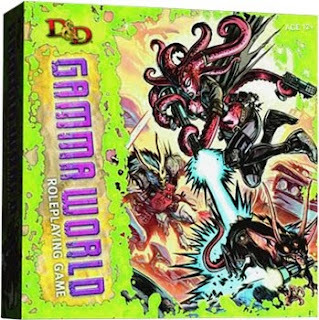 I have raved about Gamma World in the past, discussed how it makes an excellent superhero game with very little modification, and included it in my top ten games of 2010. Wizards of the Coast has done a bang up job with the game, provided excellent follow up products, and allowed for an engaged fan base to create aids and material for the game on their boards. Oh...they also created an excellent interactive character sheet that can make characters for the game that is fully updated to include the latest supplement. You might have missed the article announcing the tool. I know I did. I found it one day when rifling through the site as I am wont to do from time to time. The character sheet was released online on 12/21/2010, right about the time that Wizards became very quiet about their plans for 2011 and when products were falling off of their Product Schedule. 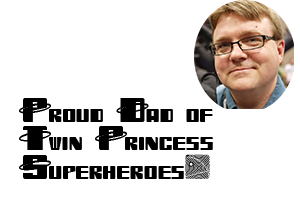 There was little fan fare and the fan base was spending so much time scrutinizing every Twitter post by Wizards employees in speculation regarding the fate of D&D. So much so that they missed this awesome tool. Fans have every right to complain about the new Online Digital Character Creation tool, but they have no excuse to have missed this spot where Wizards got it exactly right. Well...exactly right except for the effective communication part. Okay, it doesn't save the characters and isn't downloadable, but I don't care. It's awesome and I can make 20 Gamma World characters in less than three minutes. I wish they had promoted it a little more boldly. If you are playing Gamma World correctly you will never need to come back and level your guy up. You'll be dead and rolling up a new character.